Preceded in death by her husband of 38 years, Harry G. Watanabe. Survived by children, Terrance K. Watanabe, Pamela K. (Kyle) Watanabe-Gerdes and Gordon T. (Joy) Watanabe; nine grandchildren, Jocelyn, Alexandra, Aaron and Isabel Gerdes, Reyn, Cora, Reece, Zane and Dori Watanabe; two great grandchildren, Isaac and Eden. Fern enjoyed singing, and in her youth and actively participated in the South High School Acapella Choir. She worked alongside her husband Harry to build the Oriental Trading Company. 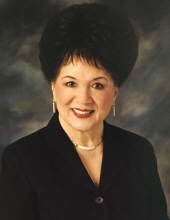 As a hobby she loved to travel and visit many countries around the world.Fern believed in growing young women into business leaders and started the Fern Watanabe Scholarship awarded yearly by South High. To send flowers or a remembrance gift to the family of Fern H. Watanabe, please visit our Tribute Store. "Email Address" would like to share the life celebration of Fern H. Watanabe. Click on the "link" to go to share a favorite memory or leave a condolence message for the family.